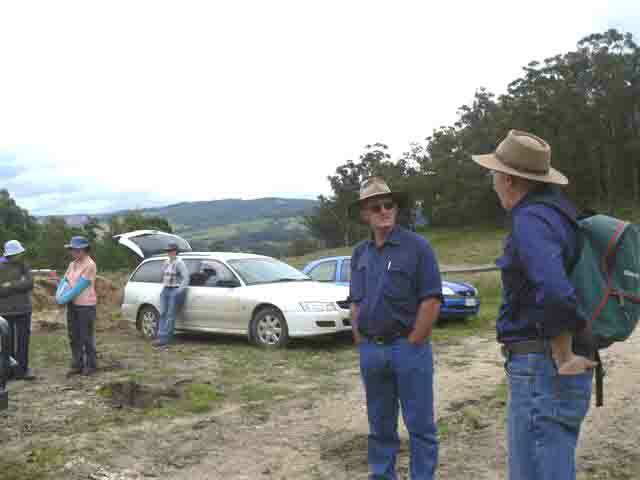 In December 2011 the group visited the Heggen's property to see the benefits of isolating remnant bush and revegetation projects which Kevin and Libby have carried out on their farming property over many years. 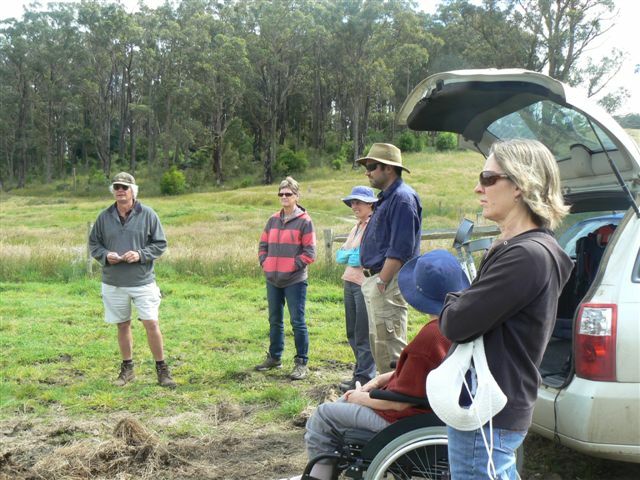 We were fortunate to have ecologist Peter Gannon as a guest for the day. Kath, Jenny, Thom, Kevin and John awaiting to start the tour. Dallas, Jude, Jenny, Peter, Mary and Libby as Kevin explains the projects.